Who love mosquitoes??? Hands up please!!!! Gosh!!!! you like mosquitoes???? WEIRDO!!!!! Recently, I get invited to Candle Pi Stop. I have opportunity to mix own aromatherapy candle. When other bloggers opt to mix something for sleeping and more refreshing smells, IMA created formula to chase away the most annoying companion in the world during sleeping apart from loud snoring, MOSQUITOES! I need to chase away that NGENG... NGENG... NGENG to my ears from that annoying mosquitoes. This is IMA's humble creation called, MANGO PUNCH. That tiny wax bitz may look like delicious omelet but it PUNCH AWAY the mosquitoes in a very delicate and sweet way. You've probably heard of the citronella plant. Its function famous as mosquito repellent plant. It has that strong spicy and citrusy scent and can be a bit strong smells which one may hate as aromatherapy. IMA cure that strong smells by mixing this sweet mango wax bitz into the citronella. The result is super fabulous. I love the delicious smells. IMA burn MANGO PUNCH wax bitz which created sweet smells and that night IMA sleep like a baby without any disturbance noise from mosquitoes at all. WTH! Powerful sweet MANGO PUNCH chase away the mosquitoes! Do you want to create own formula like I did? You can personalize own aromatherapy at Candle Pit Stop. There are 10 base colours and scents for you to choose. 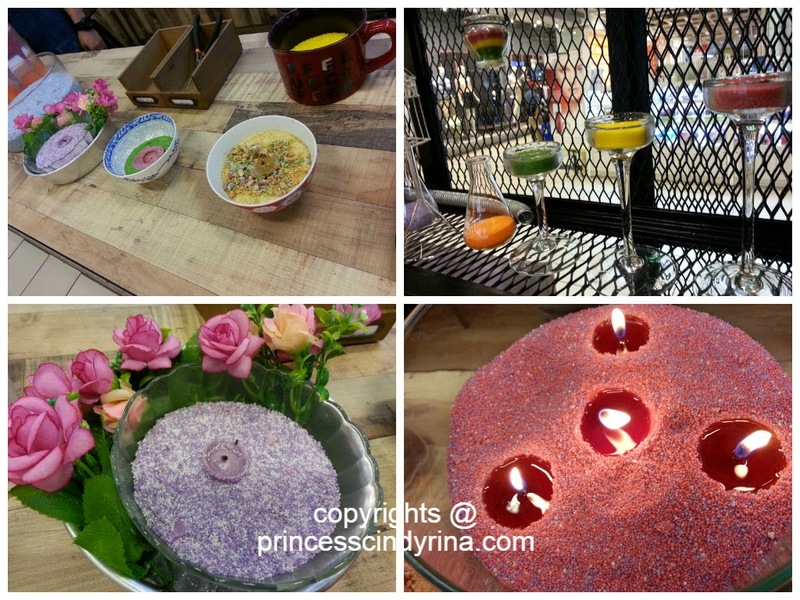 What is unique about aromatherapy candle at Candle Pit Stop? - the wax bitz can be used again and again and again without losing its scents. You think this is expensive for aromatherapy candles ? Remember you can use your own creativity to mix and match own scents like a cocktail. I could say cheap candles aplenty, but what you're burning into the air and you're breathing in are something you need to concern. Candle Pit Stop provide the wick made from 100% cotton to ensure that no soot is released into the air when the candle is lit. Aromatherapy candles are popular and came into the market in block form and it leave no rooms for individual to create own scents since its pretty much fixed block. Well...with this tiny granules wax bitz from Candle Pit Stop, ones could experience more exciting time and creatively mix and match own scents. 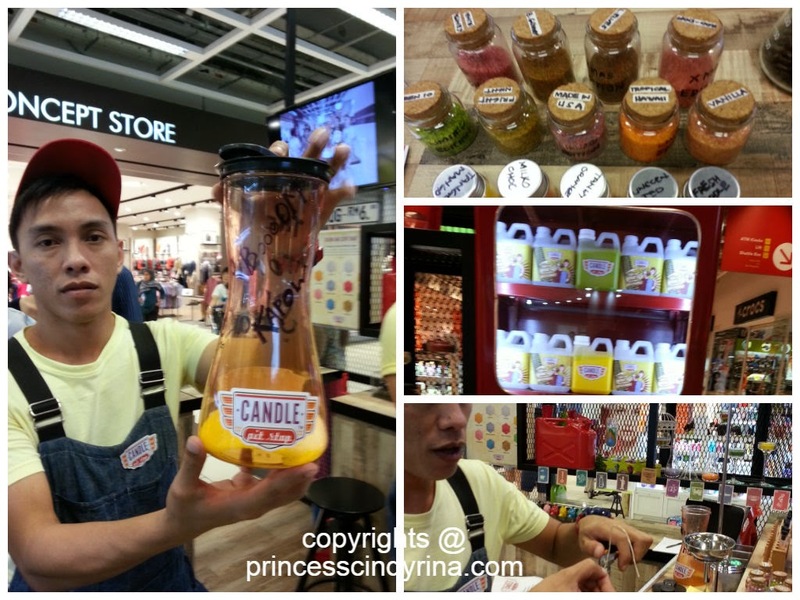 Candle Pit Stop is very interactive with customers, where they encourage customers to create their own mixed scents and come out with creative name. They have monthly prizes to giveaway too. Did you see that cards collection in the picture. 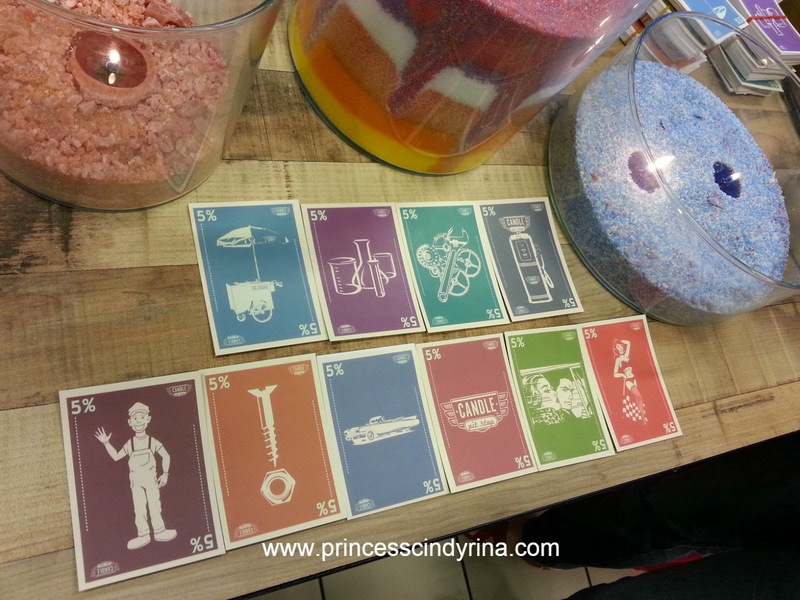 You can collect it too.Just head to Candle Pit Stop and find out how you get your hands on those cards. 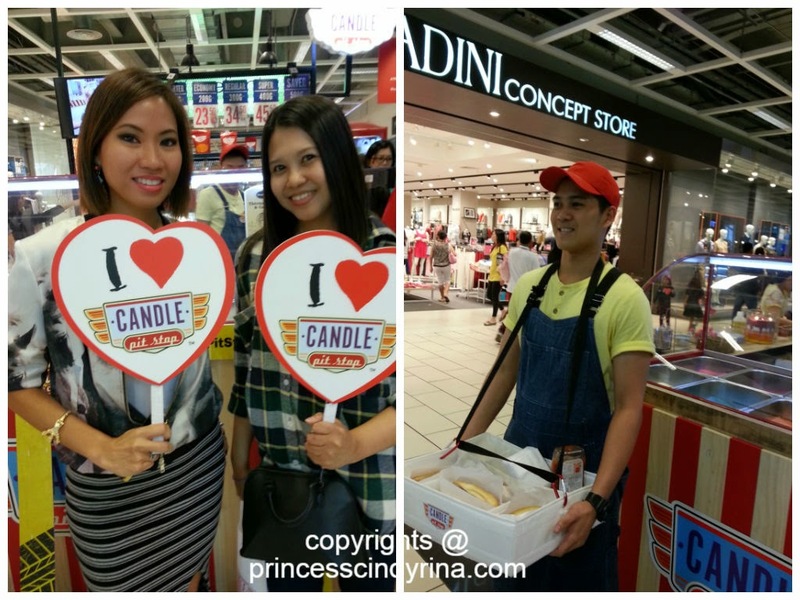 Do you know Candle Pit Stop is Malaysian born? The person who responsible to present aromatherapy candles in unique and creative way to Malaysian is that young lady on my left. Her name is Julia Jules Wan. Very entrepreneurial lady! 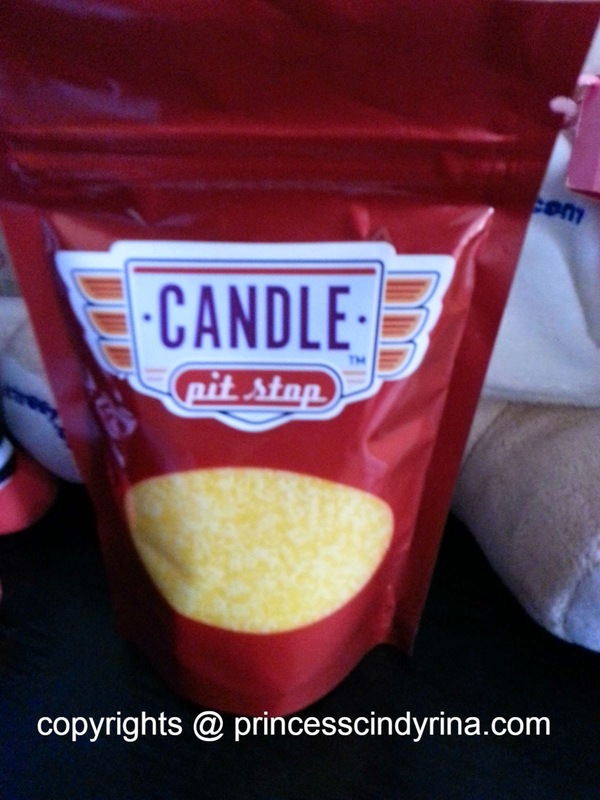 Candle Pit Stop may look like an American style Ice Cream push cart by just one glance. Who could imagine it sells tiny wax bitz aromatherapy candles waiting to mix as cocktail for your liking. Where to find one and only Candle Pit Stop? Wanna have some MANGO PUNCH??? Drop by to Candle Pit Stop! 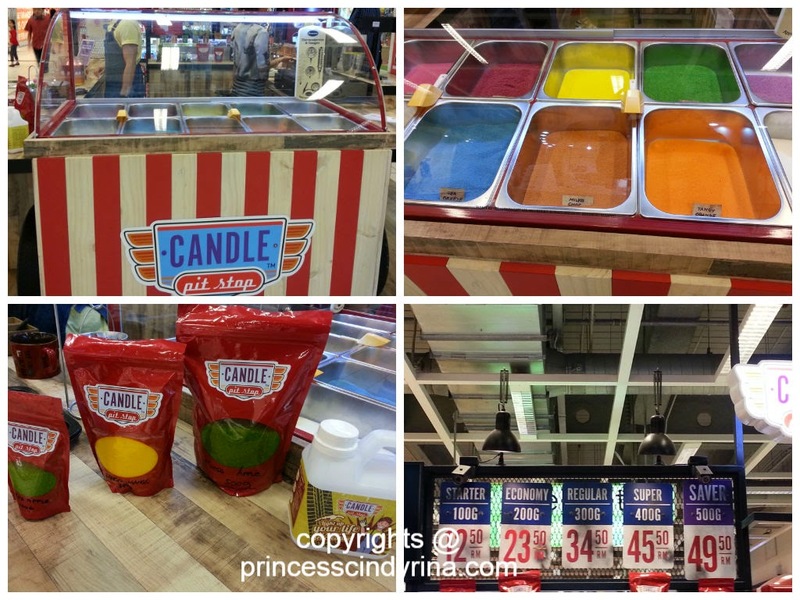 I hope to see more of Candle Pit Stop carts in other malls too! Hi Henry! not in Penang yet since they are 'baby' and on the way to 'grow up'. I believe Julia will put Penang market for her long term expansion plan. so cute! hehe.. didn't make it that day to go. ya lor...don't see you that day. Next time we meet again in another event Sherry! i tried it! this combination is amazing & smells great! owhhh! thank you for trying...lovely sweet smells indeed!